Another lovely Thai fried fish cake which is easy to prepare using the Thai Red Curry paste [see posting]. 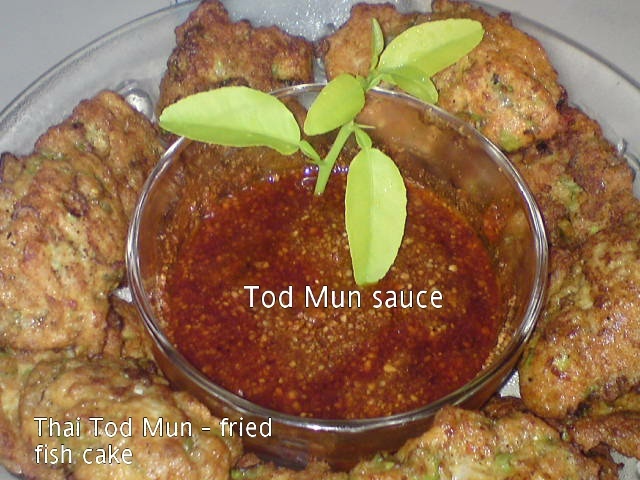 Didn't know that Tod Mun means Fried Fish Cake. Simply mix the Tod Mun ingredients together and pan fry the paste until golden and cooked. Can be eaten just like that with or without the dipping sauce. 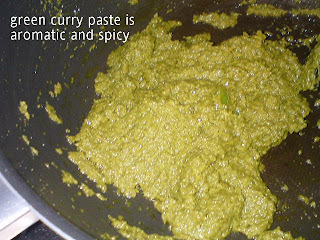 Mix and combine all the ingredients into a thick paste. 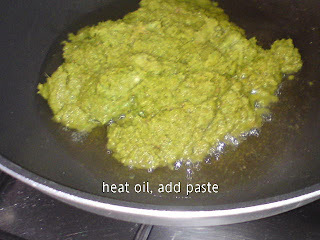 Heat up a non stick pan with a little oil. Scoop a spoonful of mixture into the pan. 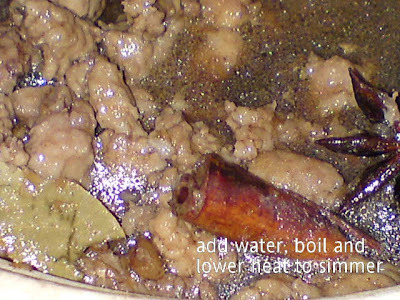 Leave to fry until base is slightly golden and firm. 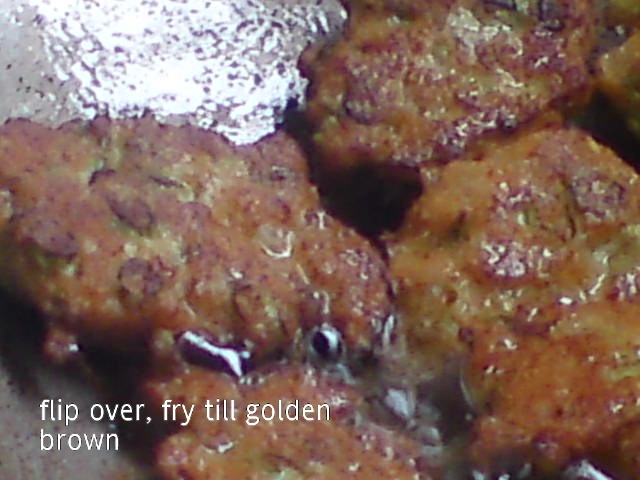 Flip over to fry the other side until golden and cooked through. 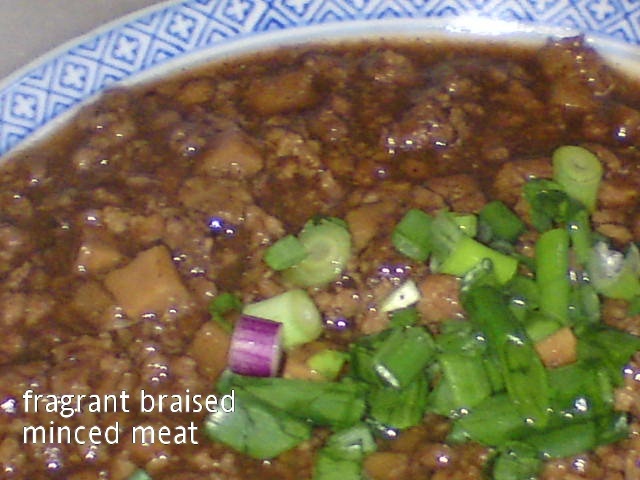 Dish out and place on kitchen absorbent paper. Make several fish cake at a time until the mixture is finished [fry a few at a time so that you don't need too much oil which has to be discarded after frying]. 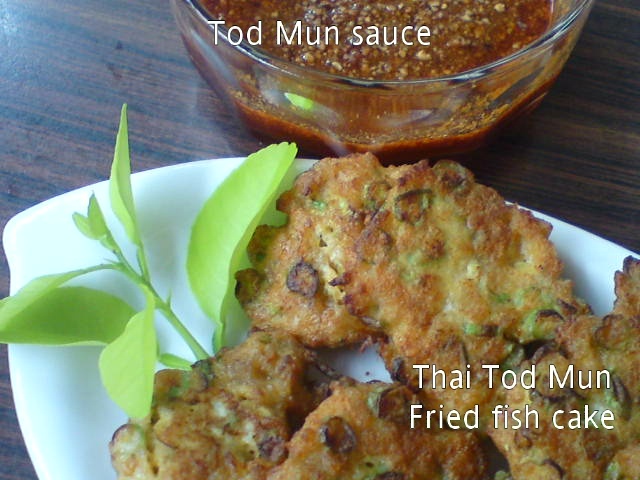 Place fried fish cake on serving plate and serve with Tod Mun Sauce and sliced cucumber. 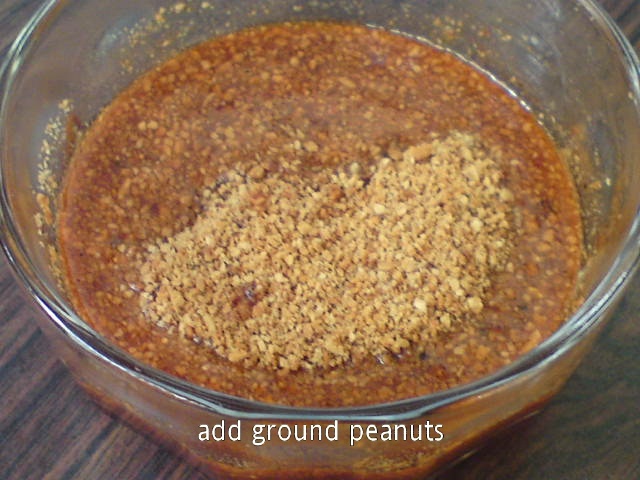 Mix all ingredients together [except ground peanuts and cucumber] in a small pot. Bring to a boil. 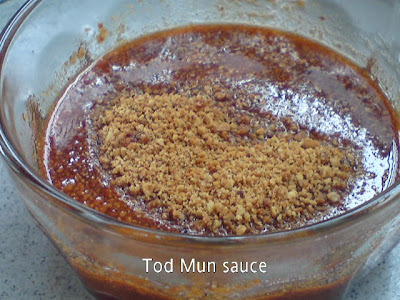 Cool and add in ground peanuts before serving with Tod Mun [fried fish cake]. This post is linked to the event, Little Thumbs Up [June 2013 - Curry powder and paste] organised by Zoe [Bake for Happy Kids] and Mui Mui [My Little Favourite DIY] and hosted by Miss B of Everybody Eats Well in Flanders. 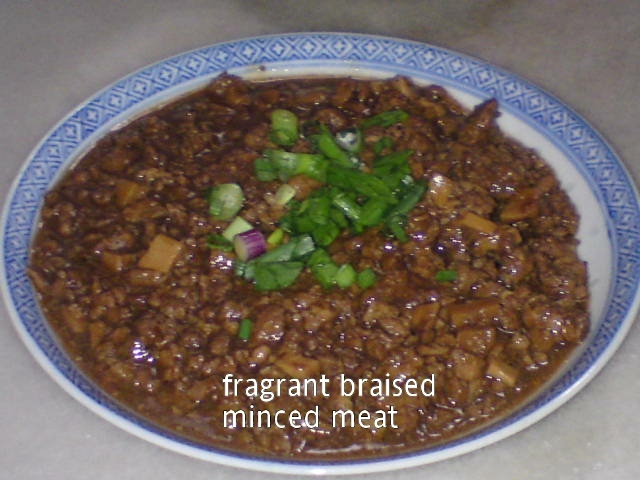 A very tasty and delicious braised minced meat dish that goes well with plain white rice or blanched noodles either dry or with soup. Lovely dish suitable for the young and old. 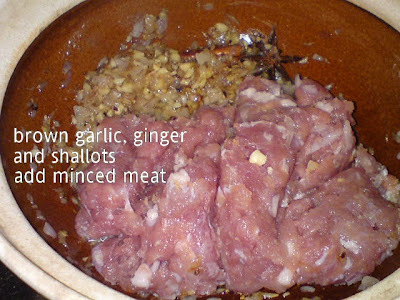 Heat oil in non-stick wok, saute chopped garlic, ginger and shallots until brown. 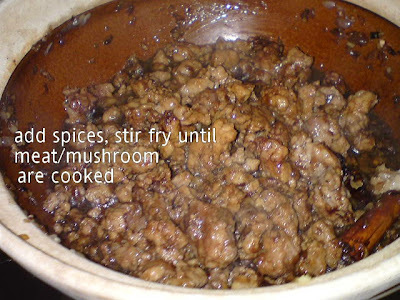 Add spices and meat. Stir fry to combine ingredients. Add in diced mushrooms and seasoning. 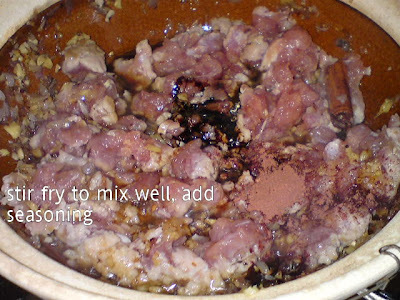 Continue to fry until ingredients are well mixed and cooked. Add in water. Bring to boil then lower heat and simmer until meat is tender and gravy is reduced [if you prefer more gravy, add more water and thicken slightly with cornflour mix]. 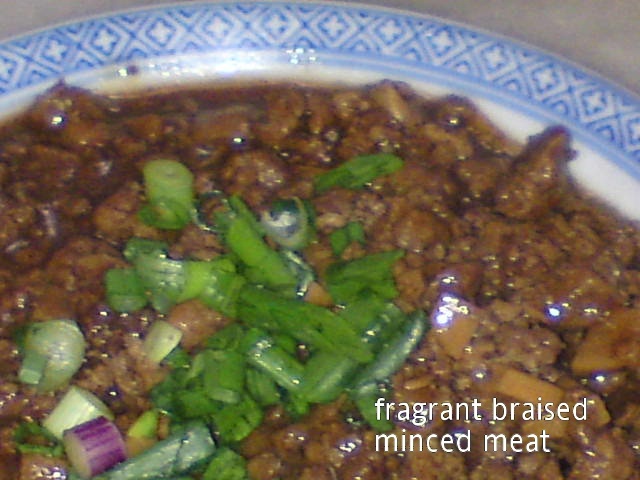 This takes about an hour [for the meat to be really tender and fragrant]. Serve hot over white rice or blanched noodles. 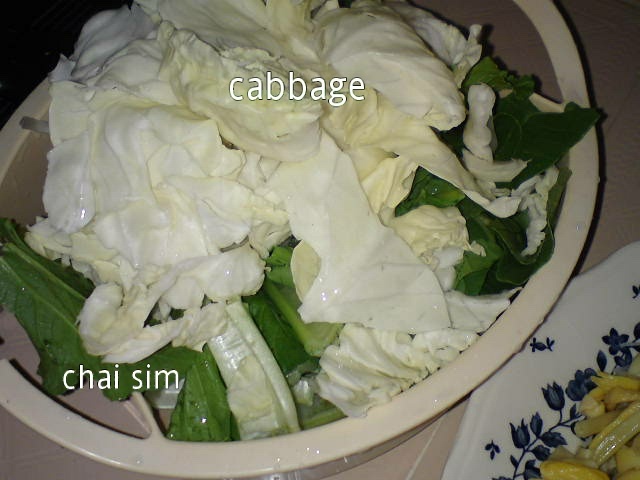 Garnish with chopped spring onions. This is the second batch of Thai green curry paste which I prepared after the first was taken by my hubby. Here, I only prepared half the portion of the first [see previous post] cos' I wanted to cook 700-800 gm of chicken which is just enough for a meal. A very aromatic curry and the spiciness is acceptable [my hubby's standard]. This is a healthy version where I used yoghurt instead of coconut milk. 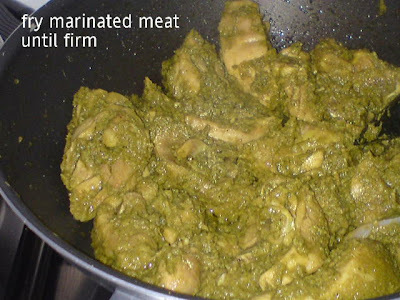 Use fried green curry paste to marinate chicken for at least 30 minutes. Heat up wok without oil, fry the marinated chicken until firm [add some water or thin coconut milk if it is too dry]. Pour in the remaining water/coconut milk. 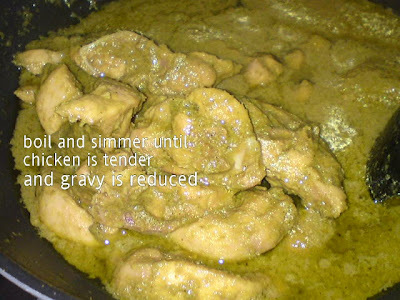 Bring to a boil, then simmer until chicken is tender. 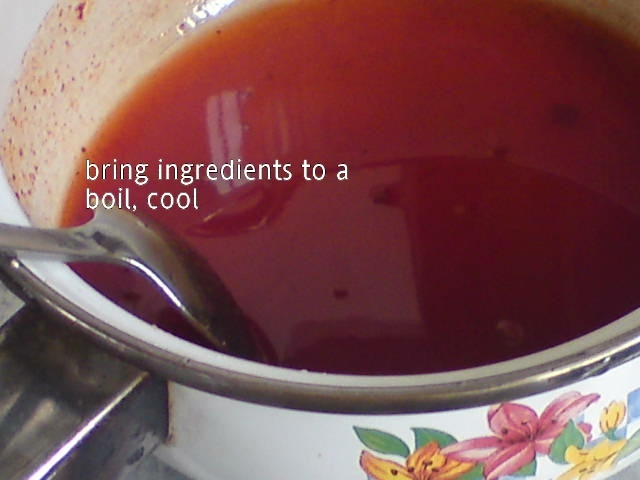 Add in thick coconut milk or yoghurt. 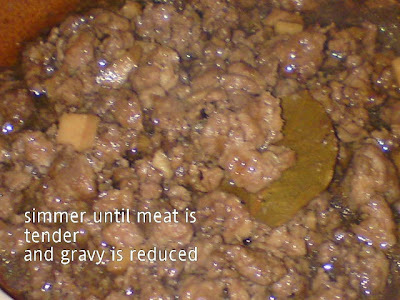 Cook until gravy is slightly thick. 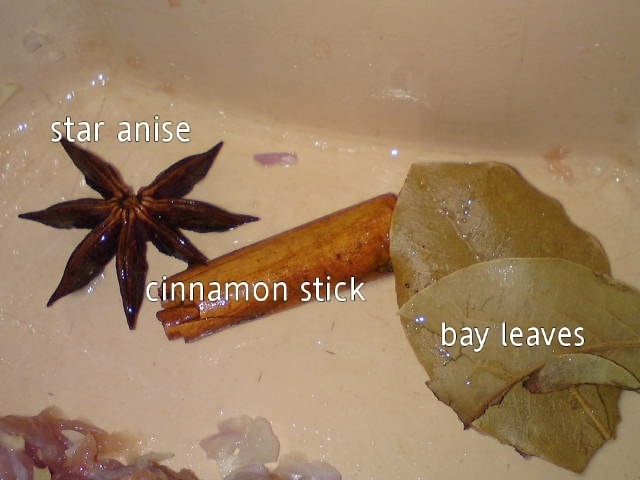 Add seasoning to taste. 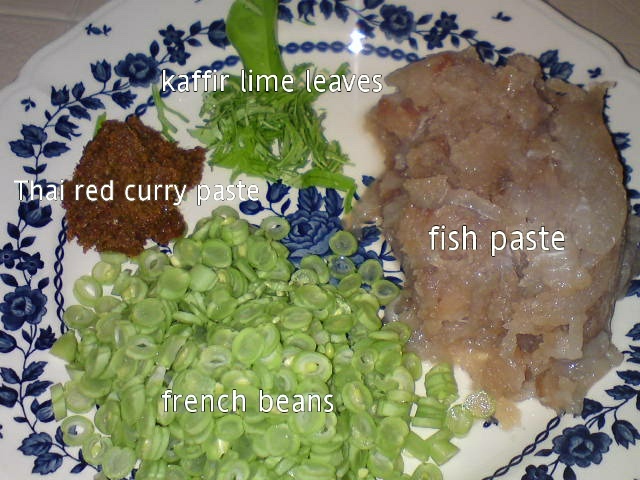 Stir in the basil leaves and kaffir leaves if serving immediately otherwise add the leaves when reheating the curry before serving. 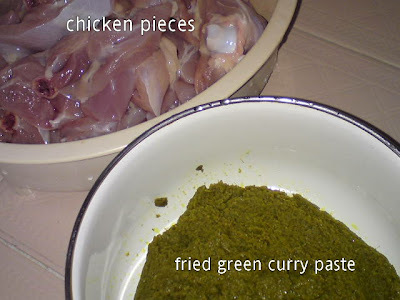 Thai Green Curry Chicken tastes even better the next day cos' the flavours have been well absorbed into the chicken. My hubby's friend keeps saying his Thai Green Curry Chicken is the best but my hubby doesn't think so. 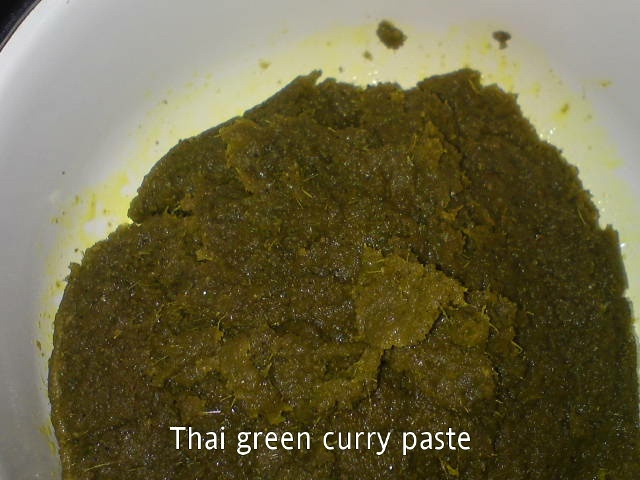 He has been reminding me to find an authentic Thai Green Curry recipe. By chance, I came across this spicy mixture from Spicy Foodie and gave it a go cos' I happened to have all the ingredients needed in my humble kitchen. 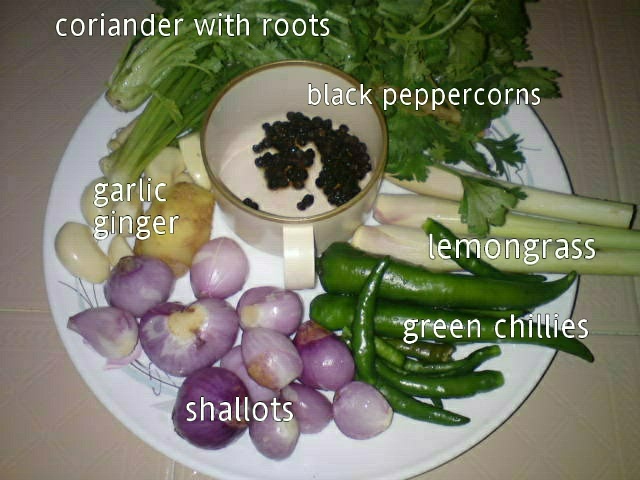 Here are the ingredients that have to be blended till fine then combine with the powdered ingredients. This fried paste keeps well refrigerated for 1-2 weeks and in the freezer for 2 months. 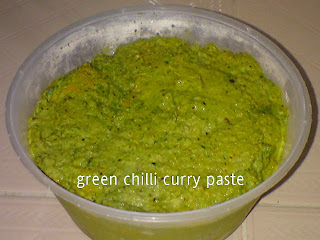 BTW, I didn't get to cook the Thai Green Curry Chicken [see next post] with this paste cos' my hubby took it to his seniors' club house. He cooked the curry there and brought home just a little for me to try and it was good. 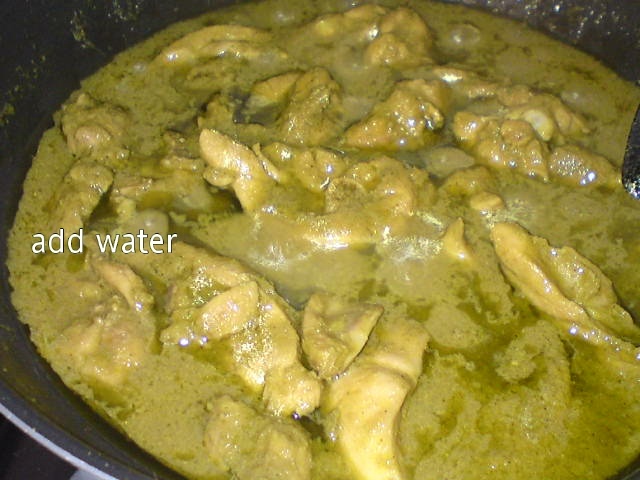 So I made another batch [half portion] as I only wanted to about 700-800 gm chicken. Blend ingredients A in a blender until fine. 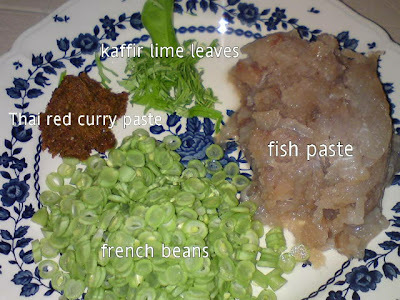 Mix with rest of ingredients B into a paste. 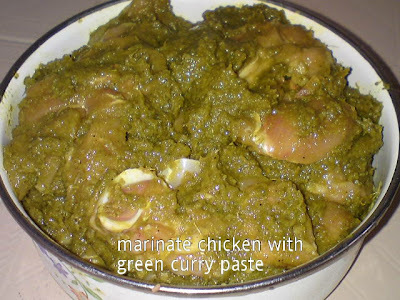 This quantity is enough to cook 1.2 -1.5 kg of chicken meat. 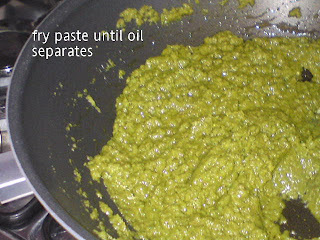 [*] Fry paste with about 100 ml oil until oil separates then store if not using it within a week. 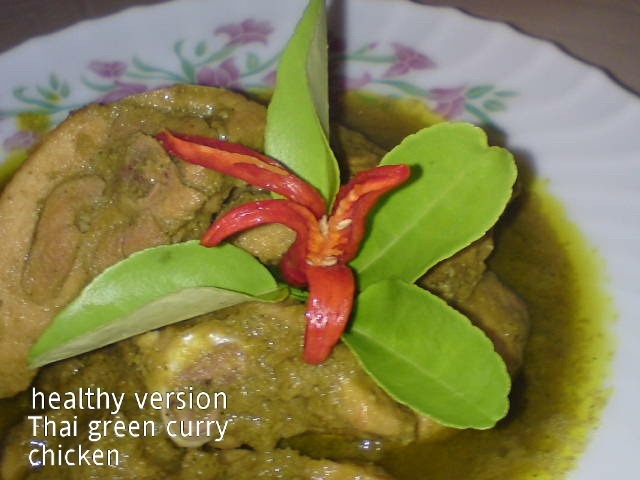 When cooking Thai Green Curry, adding some basil leaves and kaffir lime leaves will make the curry more fragrant. The curry tasted more flavourful the next day. 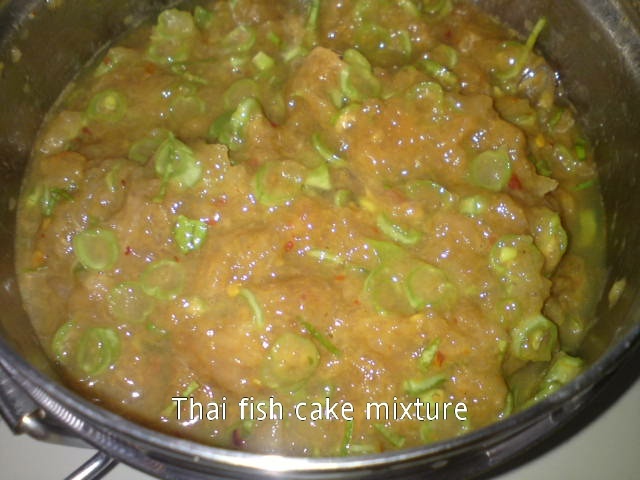 Add more small Thai green chillies for a more spicy version. Most Nyonya style stir fried vegetables have a variety of ingredients at least half a dozen which contributes the flavours and texture of the dishes. 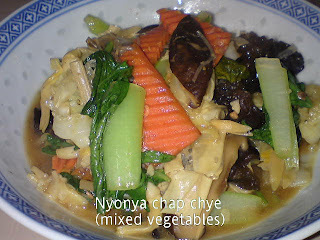 Nyonya mixed vegetables, commonly know to Chinese as 'Chap Chye' is one of the popular vegetable dish in most Chinese families during festive times. 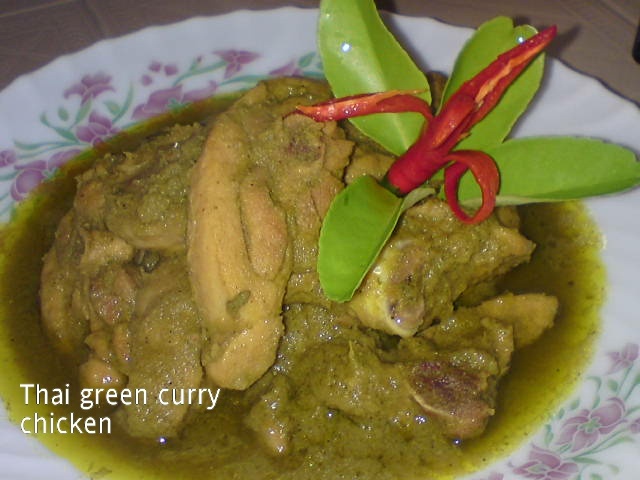 It can be a vegetarian or non-vegetarian by adding prawns or even meat. 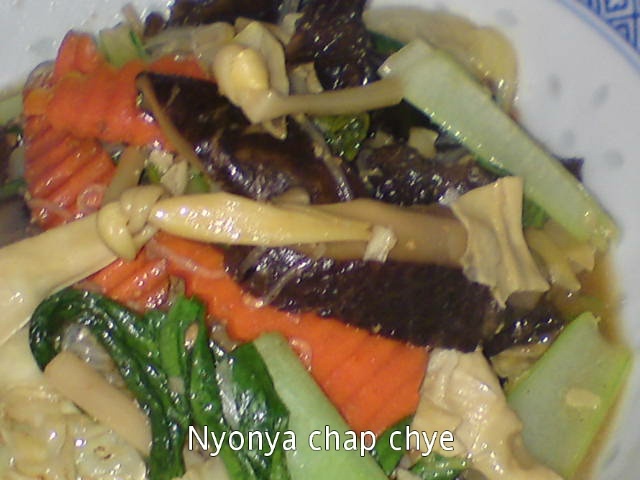 This Chap Chye recipe which I cooked can be considered vegetarian as I have omitted the prawns and meat. Heat oil in wok, saute garlic until fragrant. 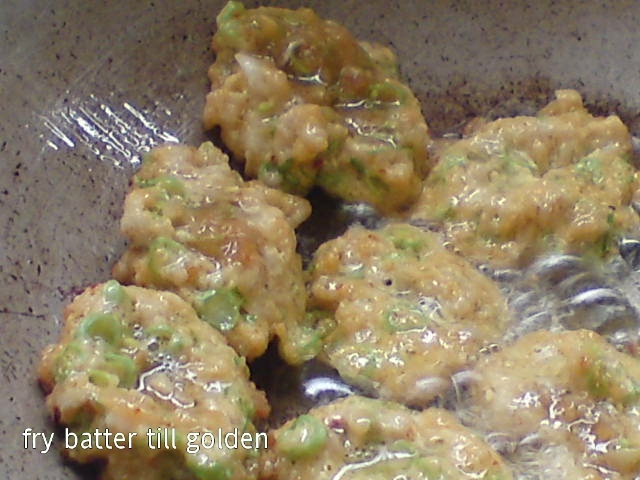 Add in bean paste and fry for a minute. 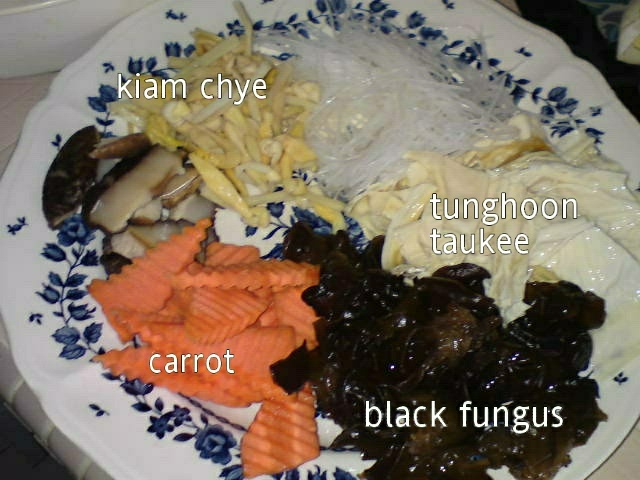 Add in mushrooms, black fungus, carrots and cabbage. 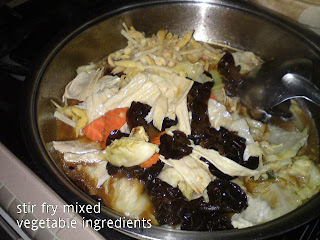 Fry for a minute and mix the ingredients well. 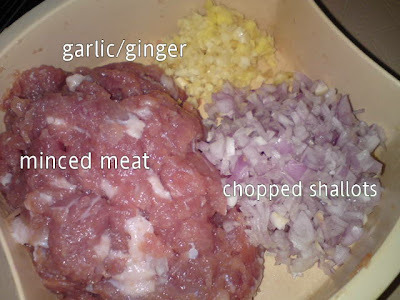 Add in the remaining ingredients, water and seasoning. Stir fry a bring to a boil. Stir fry to mix well, taste to adjust seasoning before dishing out to serve.